I've been a Starbucks rewards member for years now. 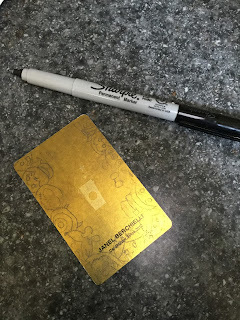 They gave me this gold card that works like a gift card I load money on it and use it every time I'm at Starbucks. Sure a lot of people have now transferred over to using the app on their phone but I still like to use my card. My card is very worn out so I decided to spruce it up. Step 1: Draw a design on a piece of paper the same size as your Starbucks card. 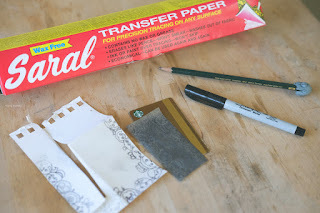 Step 2: cut a pice of Saral transfer paper to the size of your card and place it down on your card. Transfer paper has to be a certain side up to work so test it out on a scratch paper first. 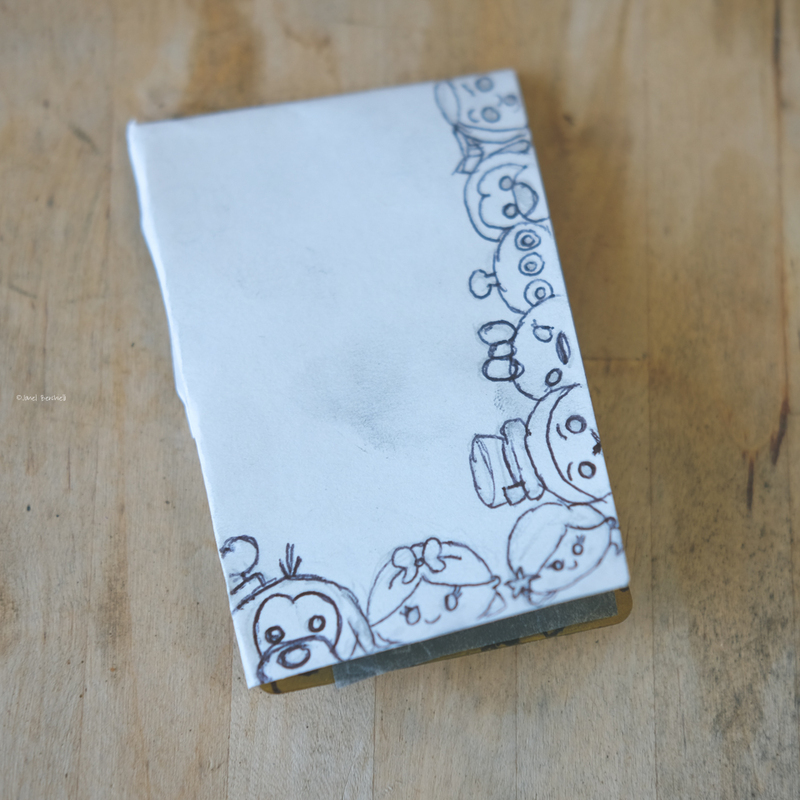 Step 3: place your design paper on top of the transfer paper. Step 4: keeping all the layers together on your card use your pencil to trace directly on your drawing. Push hard and check to make sure the transfer is working but be careful not to move it otherwise your drawing won't line up. Step 5: you should have your drawing transferred on the card. It might possibly be light but visible. At this point if you messed up you can wipe it off with a damp napkin and start over. Step 6: Trace over your drawing on the card with a black ultra fine tip Sharpie. Feel free to use any color you'd like. 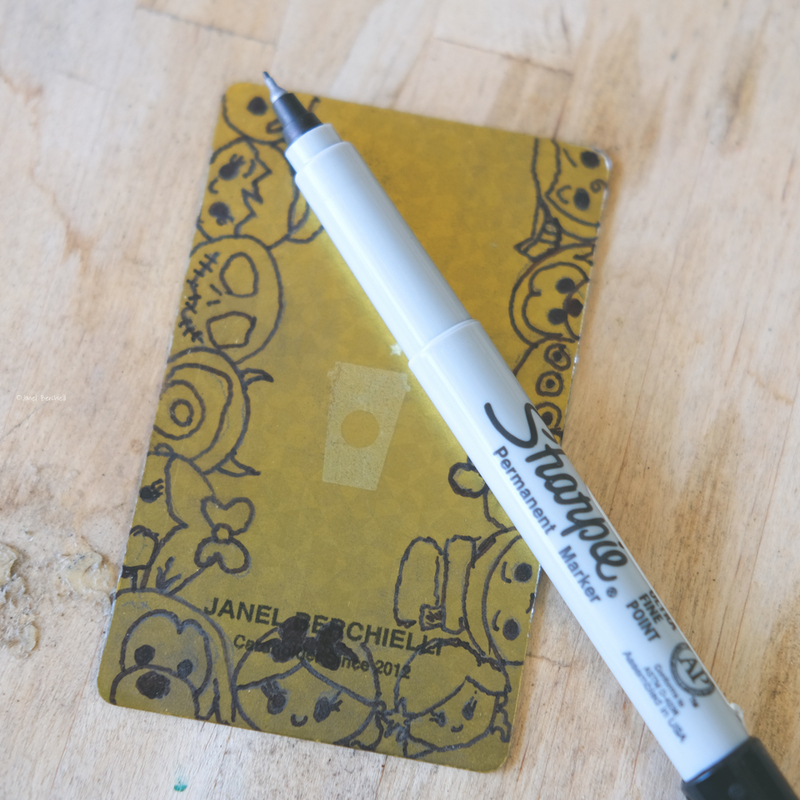 Now show off your card and impress your Barista with your creativeness. Below is a quick time-lapse video of my card.